Professionally-designed stationery is an important part of any brand identity. 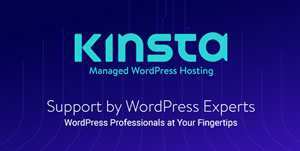 However, designing a full stationery suite can be time-consuming. The good news is that you don’t have to start from scratch. If you’re pressed for time, check out this collection of beautifully designed stationery templates. They are a great starting point for designing professional documents and contain everything from a letterhead down to the envelopes and folders. We also have collections of the best poster templates, social media kits, flyer templates, business card templates, project proposal templates, and brochure templates. 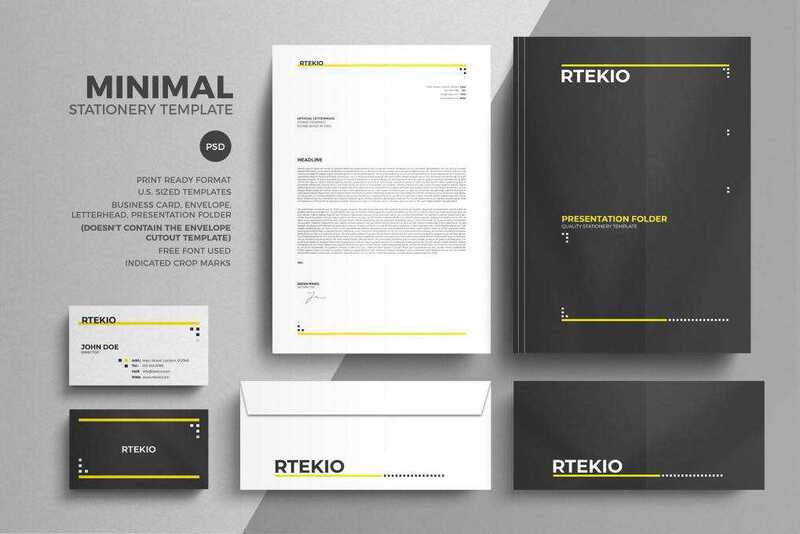 This minimal and professional corporate stationery template is a perfect choice for anyone who loves a minimal design. 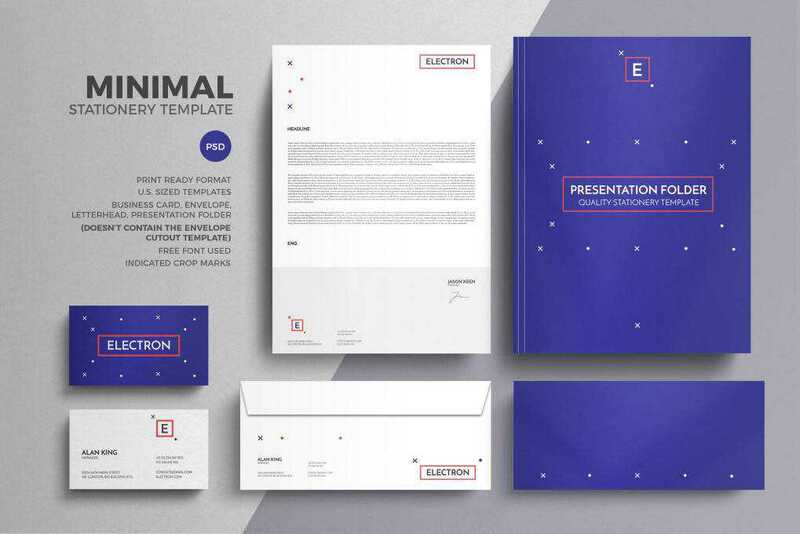 The template comes with a few design variations in both A4 and US letter sizes and includes business cards, letterhead, folder, and an invoice template. Another minimal stationery design template that was designed in Photoshop and perfect for any type of business. 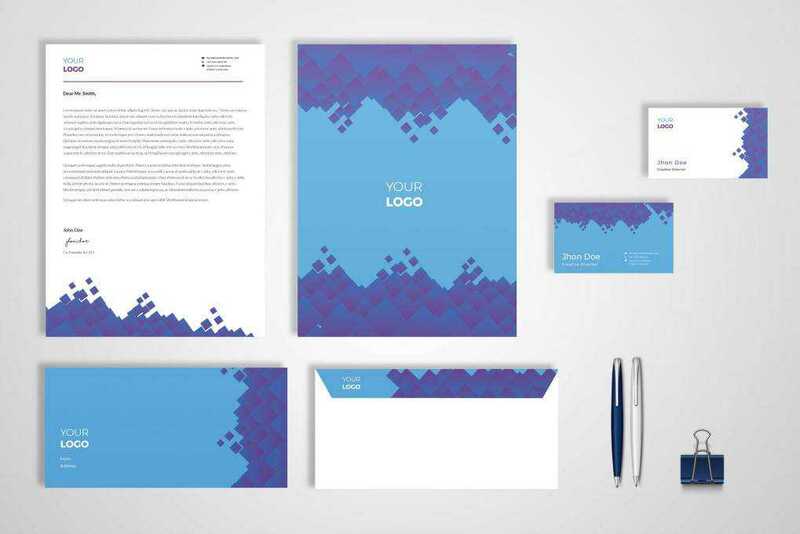 The template includes business card design, letterhead, folder and envelope design. If you’re looking for a stationery set with a more corporate feel, don’t miss this Simple Clean and Modern Stationery template. It’s perfect for creative businesses, created in Adobe InDesign. It comes in A4 and US Letter size. 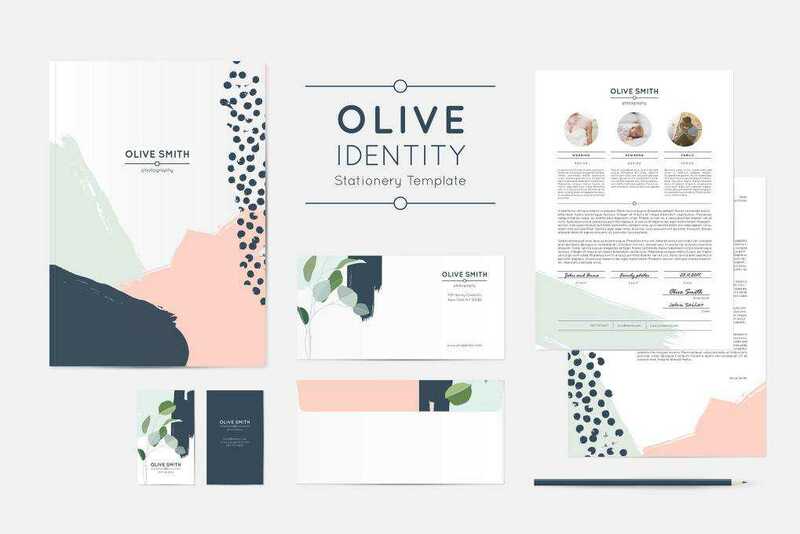 This elegant stationery template was designed in US letter size and features a business card design, letterhead, an envelope and a presentation folder. The template is easy to customize to match your brand and comes with well-organized layers. This template features a colorful design that’s easy to edit. The files are suitable for any type of business and they include invoice, letterhead, business card, folder, envelope, and matching postcards. The Minimal Gery Stationery template features a simple design with elegant typography. It was designed in A4 and US letter size and offers several design variations. It comes with letterhead, invoice, business card, envelope and presentation folder templates. Try the Modern Geometric Pattern Stationery if you’re looking for a creative and unique design. 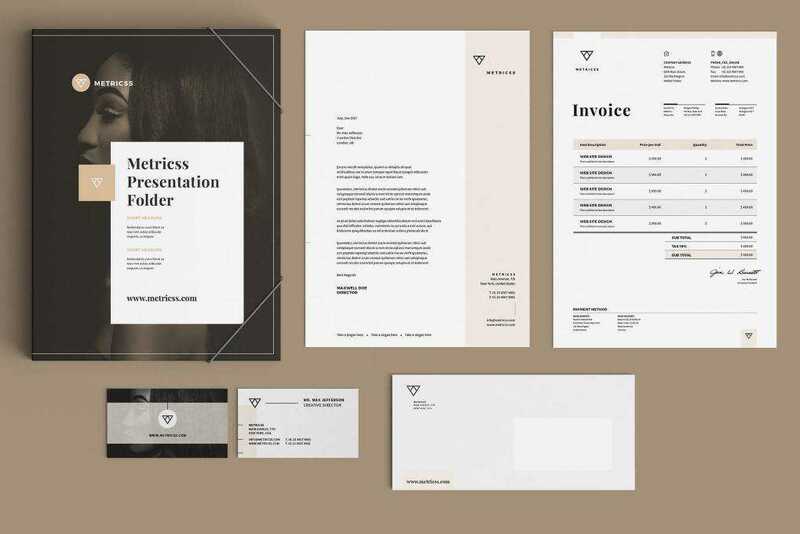 This template includes a business card, an envelope, and a presentation folder and can be edited with Adobe Photoshop or illustrator. List template features a simple design with pops of color that make the design come to life. The template includes a business card, letterhead, an envelope, and a presentation folder and can easily be customized in Adobe Photoshop. 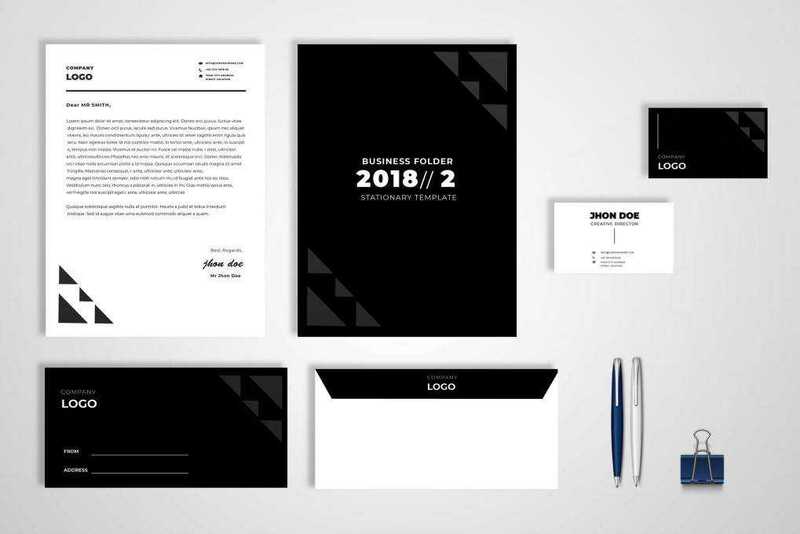 This Modern Business Stationery set features a classic black and white design. 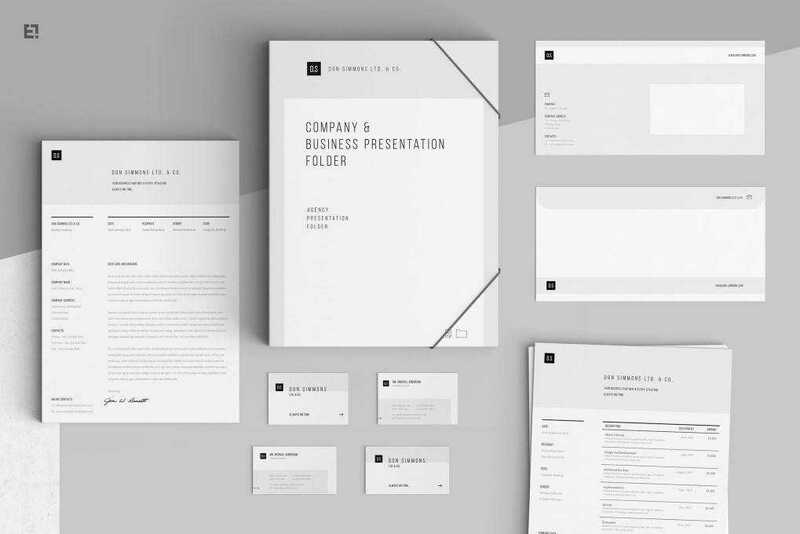 It was designed in US letter size and contains a business card, an envelope and a presentation folder. This template features a feminine style. 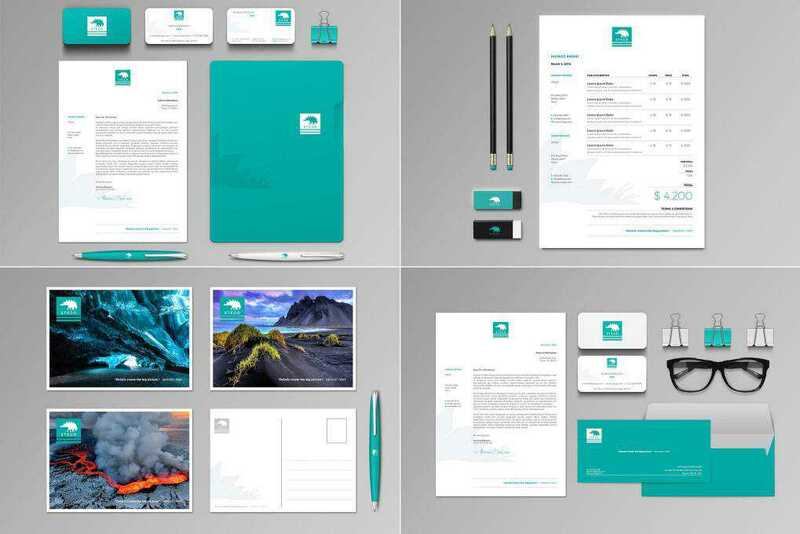 It includes everything you need for your business – business card design, A4 form design, folder, and envelope design. You can easily customize this template with Adobe Photoshop. 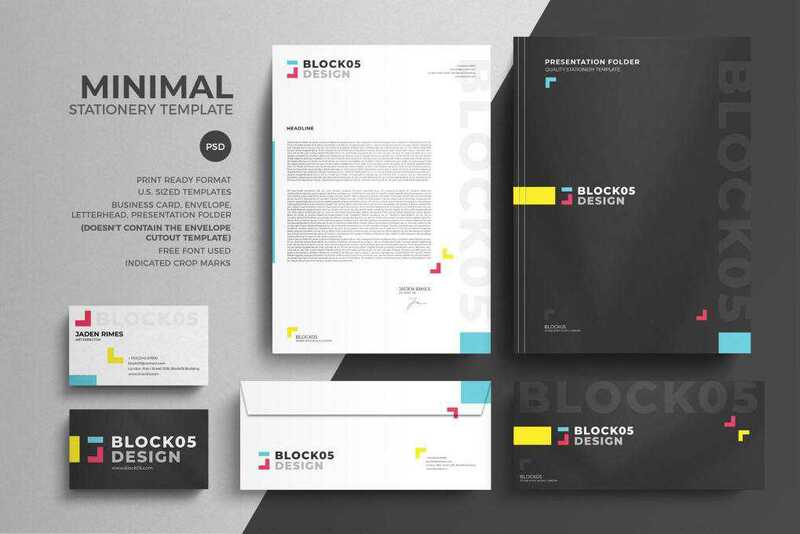 A well-designed stationery set is a great way to reinforce your brand and build brand recognition. It will help you stand out among your competition and be more memorable in your business communications. 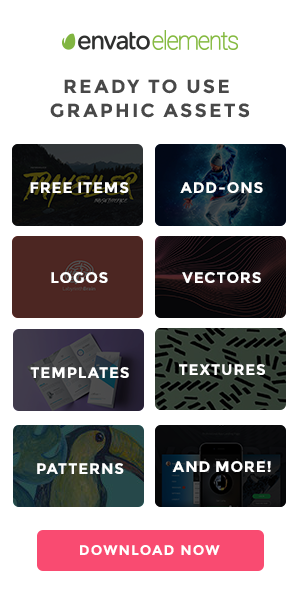 Choose one of the templates from this list to get you started and then customize and tweak the template to match your brand.